I just finished watching a concert that was a tribute to Jerry Goldsmith and I can think of no finer tribute to make than to say every piece of music played made me want to go and watch those films.There are dozens of film makers that I admire immensely; actors, editors, cinematographers,directors writers and more. The only fan letter I ever wrote however was to a musician/composer that had made me wish I had tried harder with Mrs. Liggett and my piano lessons. I love music as most people do, but I understand very little of the complexities that are required to make a piece of music work. Film music must be especially difficult because it has to match up with a visual reference, enhance that visual but at the same time remain subtle so as not to distract from the screen. 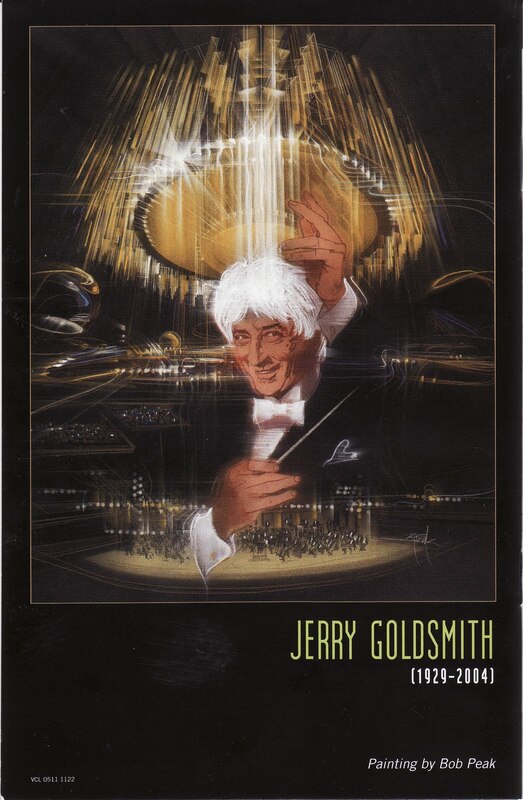 Jerry Goldsmith is the film composer that I have enjoyed and admired the most in all the years of my movie going life. I would not want this in any way to detract from my admiration of other great film score composers. All of us who love movies know a dozen composers off the top of our heads that we can say ” Yeah, he’s the best”, or “I love that guy, he’s my favorite.” I do love them all, but the first composer that I ever listened to separately from the movie was Jerry Goldsmith. When I was twelve years old, I saw the movie “Patton” and I was convinced it was the best movie ever. In 1970, there was no waiting for the video release of the movie to relive that passion. In those days, unless you had a thirty-five millimeter projector and a friend in the business, you were only going to see the movie again on television. It would be played on one of the three networks (most likely ABC) and it could not be paused, rewound, or scheduled for another time. Things in those days happened in real time. So, how could I get my Patton fix if I had to rely on some future network programmer to run the movie when I wanted. The answer came in the form of an LP. For you younger readers, that is the format before the format that was replaced by the digital format that you listen to music on. The record version of the soundtrack started off with the George C. Scott monologue from the beginning of the movie. I had that speech committed to memory within a short time. It is followed by nearly ninety minutes of the most fantastic music I had ever heard. I knew movie music before this, but mostly just songs from movies, not the scores. The Jerry Goldsmith score for Patton was the first time I paid attention to the background music of a film. I could see the images in my head and feel the emotions swelling in my chest and it was as if I was seeing the movie again. When I watched the Academy Awards that next year, the biggest surprise to me was not that George C. Scott turned down the Oscar, it was that of the eight awards the movie won, the score was not included. What an injustice! After that introduction to movie scores, I started listening to film music in my Dad’s record collection. There were James Bond soundtracks, and some scores from war movies that filled many of my hours at home. As I look back on all the films I had seen before then, I know that I heard the scores but I did not always remember them distinctly from the films. Jerry Goldsmith is the composer that I remembered. The score from “The Omen”, was the next time I remember hearing his name, although some of my favorite films of the early seventies were scored by Mr. Goldsmith. It was at that time I started to pay even close attention to the craftsmen that put movies together but did not appear on screen. As a teen, I realized that many excellent people worked behind the scenes and that is where film appreciation begins. My admiration for Jerry Goldsmith’s work is what helped elevate my movie watching from pastime to appreciation. I became a more critical consumer of movies because of his work. Others can comment on the process and technical accomplishment of Jerry Goldsmith’s work. I can recognize a music cue, but I could not tell you the key, style or tempo that it is being played in. I do know that his work is what makes some of my favorite movies of all time so much more successful. The Wind and the Lion, Alien and Poltergeist all lead me up to the moment that I officially became a movie geek by writing a fan letter. When I saw “Gremlins” for the first time, I was stunned by how much I loved that movie. What was really gratifying to me was that I could recognize the work of Jerry Goldsmith immediately. I’m not sure how, because I am musically illiterate, but something in that score hit me as his distinct creation. It had a wild exuberance to it, and the joyous mayhem of the creatures in that movie were matched by a carnival like soundtrack that came across to me as if it were a circus gone wrong. Again, I acquired the soundtrack immediately and listened again and again. My enthusiasm could not be contained and that is when I wrote the one fan letter I ever sent. I never received a response, I sent the letter to the studio, but I also never needed a response. My goal was merely to express my personal gratification at the work that Jerry Goldsmith did for that movie. Those of you who don’t know, he is included in a quick shot of the inventor’s convention that Mr. Peltzer goes to. Of course there are dozens of movies that he did in the following years that are also memorable because of his work. There is not much point in listing them all, what you should do is seek them out and listen to the music. I can say that I was present at the Hollywood Bowl for an appearance he made, and then later, there was a tribute concert that he was too ill to come to in person but for which he joined all 18,000 of us on the telephone for. He also composed a very moving piece presented either by the L.A. Philharmonic or the Hollywood Bowl Orchestra, commemorating the 9/11 attacks just a few days after they happened. As we come up on the tenth anniversary of that tragedy, I need to make sure to find that piece of music in my collection. 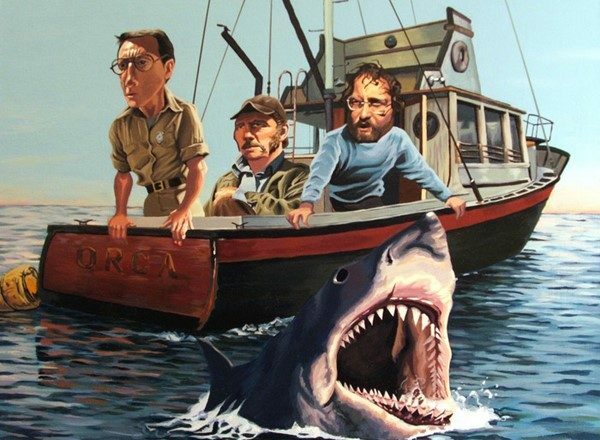 There was so much real horror to relive, that I think it will only be tolerable if there is some beauty surrounding it. Thank you Jerry Goldsmith for making movies better but also for making my life better.